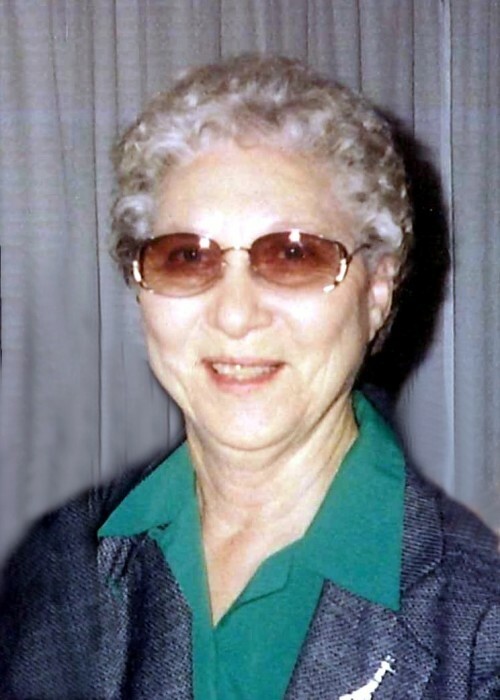 Nellie Ilene (Sue) Helderman Hardin, 89, of Beebe, Arkansas went to be with her Lord and Savior and her husband of sixty-five years on April 9, 2019. She was born July 27, 1929 in Beebe (Harrison Chapel), Arkansas to Virgil and Olive Allen Helderman. She was raised by her grandparents Henry and Nellie Allen. Sue was a retired school teacher. She taught at Floyd and El Paso, Arkansas. Her last thirty-plus years of teaching were at McRae where she graduated high school. She loved to fish and camp with her husband Wayne and granddaughter Deitra, and bake cookies for her great grandson Jaxon. Sue was a member of Beebe Church of the Nazarene. Her husband, Wayne Hardin, preceded her in death by nine days. Also preceding her in death are her parents, grandparents, two brothers Stan (Buddy) Allen and Ray Jones; and two sisters Shirley Jones and Wanda Helderman Duran. Sue is survived by her son David (Gwen) Hardin; granddaughter Deitra (Jordan) Jones; great-grandson Jaxon Jones; brother Caroll Jones; sisters Donna (Jerry) Jones, Rose (Jim) Reaves, Alline Faye (Gene) Mahoney, and Barbara Sykes. In lieu of flowers, donations may be made to Arkansas Hospice.